Let us make your dream designs a reality. Accurate's team of engineers has the skills it takes to move your project from design through development and successful completion. When you can trust your metal fabricator to offer engineering and prototype assistance, it will keep your costs down while ensuring that your project comes in on time. Many variables affect whether a project will stay in budget, meet the production schedule, and function as needed. Accurate Metal Fabricating assists you with managing those variables in the prototyping, processing, and engineering phases—so that your idea can be converted to a quality finished product. We have a full-time engineering department utilizing advanced technology to ensure design functionality. Accurate’s engineering team uses the latest sheet metal processing software, such as Solid Works Solid Modeling, AutoCAD, and Amada AP100 to refine your part before production even begins. Our goal is efficiency without sacrificing quality. 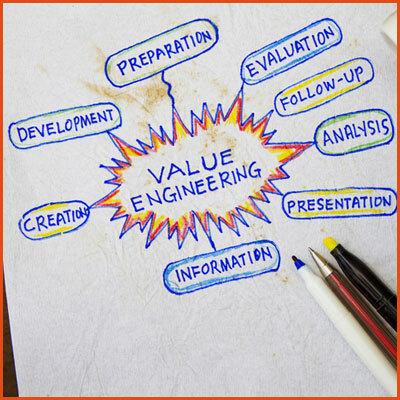 We are experts at value-engineering, which analyzes and improves the manufacturing process from design through construction, including administrative and business considerations. With proper analysis, we can achieve an optimal balance between quality and cost, which means the best possible value for you. Accurate Metal Fabricating’s project managers and engineering department excel at collaborating with manufacturers and design houses to create components and products that are more appropriately manufactured, have the appropriate quality, and are lower in cost providing an overall better value. Our engineers pride themselves on their ability to re-engineer a product’s design and custom tailor the manufacturing process for the best results. It’s not uncommon that we can tweak the design so the component requires less material and less time to manufacturer resulting in a faster lead-time and lower cost. We’ll recommend new welding practices, forming techniques, and fastening options to give the ultimate functionality and quality for the components requirements. 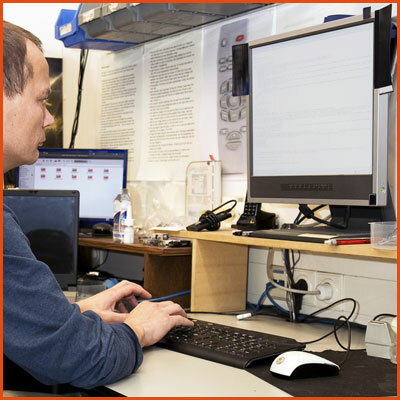 Our engineers and production staff meet regularly to determine the optimal way to manufacture a component. It’s our culture to always look for better ways to produce a product. This review involves both new projects and current products. We seek out information from our customer on the performance of what we supply and welcome feedback. Just as we look for ways to manufacture components more efficiently, we also seek out ways to make a product perform better on it’s own and with any component it’s integrated with. If we can change the design of a component so it integrates better with other components, we will quickly alter the design. The better we can make a product for you and the end-user, the greater product satisfaction and ultimately product sales will be. That benefits everyone. We firmly believe that better quality is not always better. We believe in the appropriate quality for the application. There is no need to overengineer a product if a lesser gauge or material will be sufficient. In the end, extra quality or durability is merely an unnecessary cost. In the same vein, if we see that a product would benefit from a more expensive process, material, or finishing method, we will suggest that too. We use the same philosophy in the price of a product as we do with our quality recommendations. We suggest only what is needed for the application. If the client would like a more robust material or higher quality for functionality of aesthetics, we will manufacture the product to that specification. However, we feel it’s our job to point out area where the price can be reduced. Do you have a new product that you’d like developed? We can help with all stages from concept and design to prototype and production. 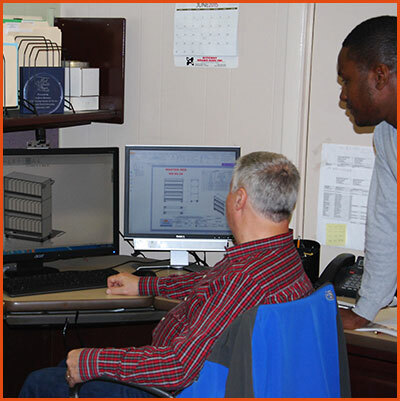 Our engineering staff has decades of experience bringing concepts into reality. They can leverage their knowledge of hundreds of products fabricated for dozens of other industries to your advantage. Complete confidentiality is always maintained. Your proprietary designs and processes will never be share with a competing company. We collaborate with our customers to produce high quality products that meet the specifications precisely and ensure that the products are manufactured efficiently and perform in application. 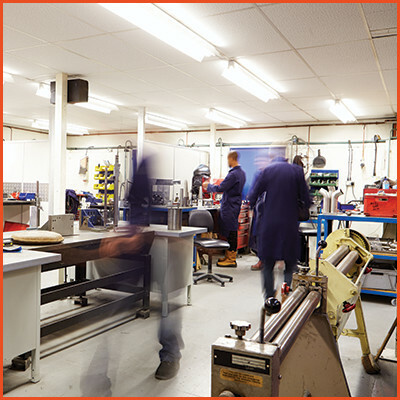 Accurate can utilize its ISO 9001:2008 influenced manufacturing processes to develop a consistent, high quality product. Accurate Metal Fabricating can quickly develop precise prototypes from your drawings. 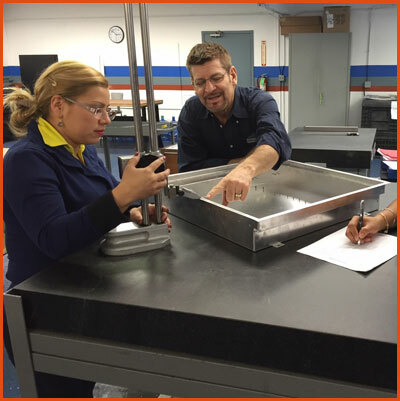 Once the prototype is fabricated, it is scrutinized to ensure compliance with your specification is achieved. Our engineers thoroughly examine each component for production quality, functionality, and cost. 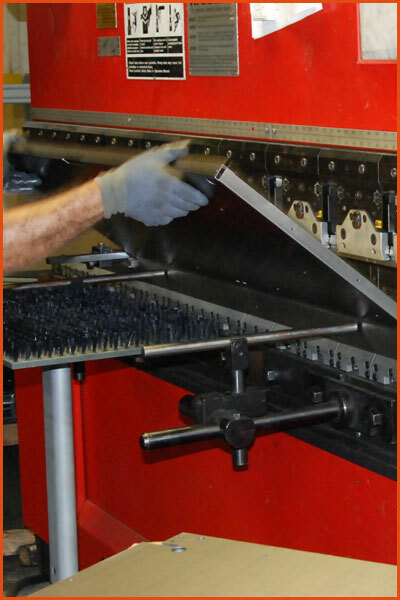 All of our up-front precision work allows us to produce a component that performs flawlessly for you. Our team’s excellence in project management and communication ensures that at each stage of the development process the product is tested, assessed for meeting your specifications, and that you are kept informed about the project’s developments.